A very local and rare species, bound to dry sandy biotopes. The larva feeds on several grasses, like Corynephorus canescens(Gray Clubawn Grass - Buntgras),Carex arenaria(Sand sedge - Zandzegge)and Molinia caerulea(Purple Moor Grass - Pijpenstrootje). The adults have mainly been observed from mid August till mid September. 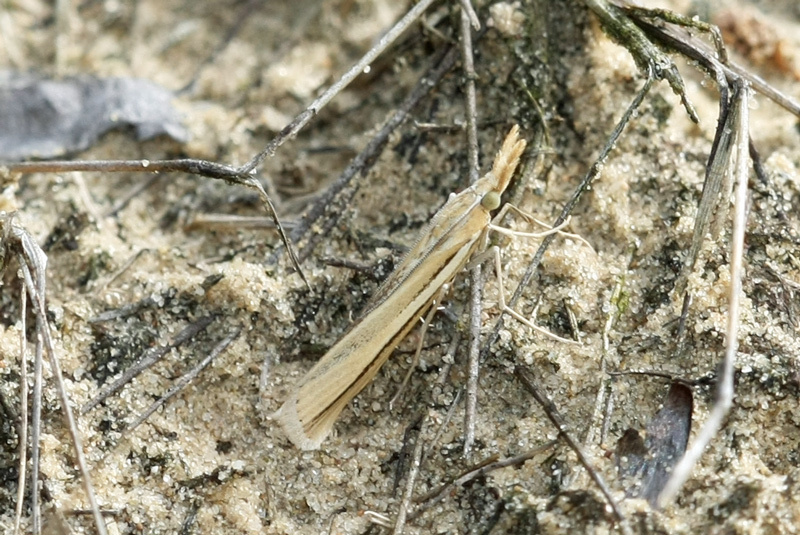 Agriphila is a genus of moths of the Crambidae(Crambid Snout Moths)family.